East End WI: What's on in January! Firstly a Happy New Year to everyone, the start of a year of lots of exciting things we hope. A new year often means learning new things so at our January Meeting we will be learning self defence. 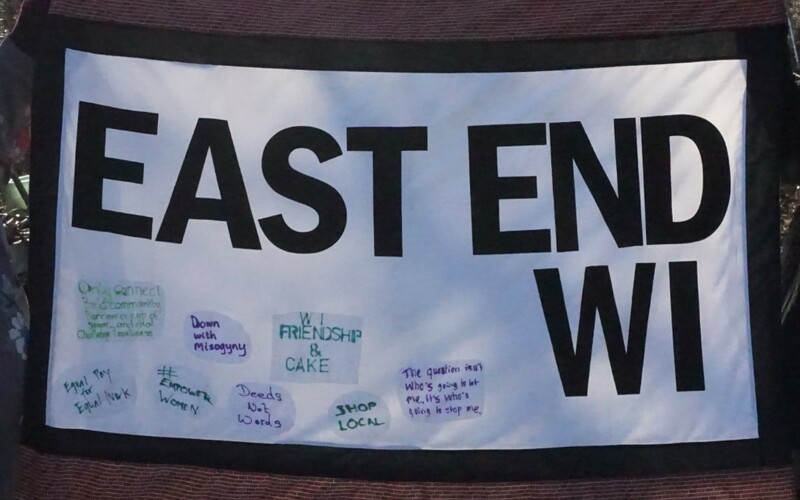 This is something we have wanted to do for a very long time and in the wondrous way that things happen at EEWI after an age of trying to find someone we realised a fantastic teacher was staring us right in the face. George Dobson is a local tutor who teaches self defence at St Paul's Cathedral School and has a wealth of experience teaching martial arts and boxing. George is working on a programme of self defence specifically for women but for our evening he as has asked that we let him know what sort of situation we are worried about so he can tailor the session a little bit to our needs . So if there was something you wanted to learn or a situation you were particularly nervous about, drop me a line at niki.stevens@btinternet.com. George will also be going through basic self defence techniques. Tuesday 20th January 7pm for a 7.30pm start at St Margaret's House, Old Ford Road, E2 9PL. For those of you that haven't been there before we meet in the hall at the back of the building which you access by going through the black gates to the left of the Gallery Cafe and then follow the path round the garden to the right where you should see the hall. At our self defence session not everyone needs to get involved and George is used to working with all ages but if you feel like you would like to try out some of the techniques please wear comfortable clothing. As ever there will be refreshments available and donations of any kind - cash or consumables - are always very welcome. Our coffee morning is at 10.30 onwards on Friday 23rd January 2015 We're finalising the arrangements, so do check the sidebar for details of location. at The Larder in Globe Road, opposite Prick your Finger yarnshop.